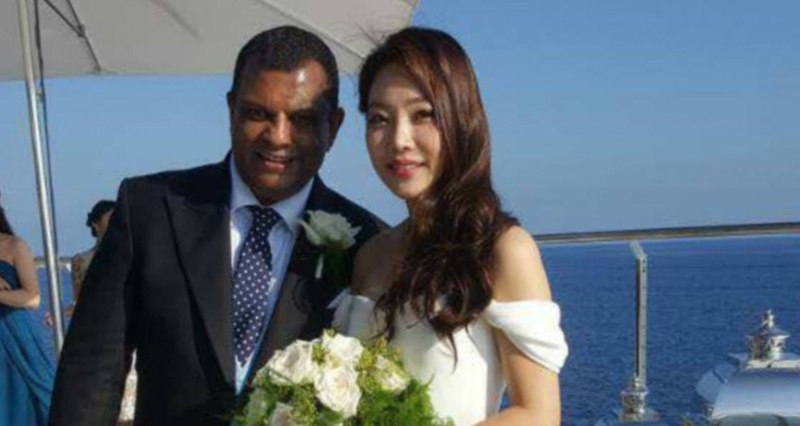 AirAsia group chief executive Tan Sri Tony Fernandes, 53, married his graceful-looking Korean girlfriend, Chloe, in France on Saturday (Oct 14), according to Malay Mail Online. Mr Fernandes, a divorcee, has two children from his previous marriage. Mr Fernandes and Chloe were said to have been dating for more than two years before tying the knot. Mr Fernandes is Indian descent and a business mogul. He founded Tune Media, a Digital Media company based in Sydney, Australia. AirAsia is one of the most famous brands under the company. He is divorced and has a 23-year-old daughter, a graphic designer in Britain, and a 16-year-old son studying in KL. 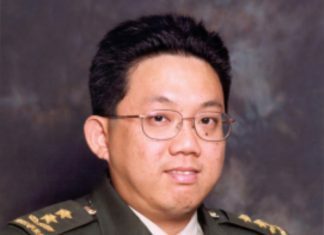 He married his ex-wife Deborah Lee Bergstrom, according to Mooseroots. Last year, Forbes ranked him the 37th richest man in Malaysia with a fortune of US$345 million (S$476 million), mainly owing to the Air Asia. Aside from managing AirAsia, he is also into sports. Fernandes acquired the football club Queens Park Rangers in 2011. He also owns a Formula One racing team called Caterham. However, Chloe has been an enigma. 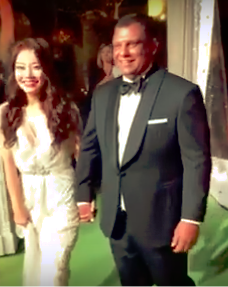 She is said to be a Korean actress, according to The Star, ostensibly without much substantiation. Her last name is known only to family and the closest of friends. Even her age is uncertain – some say she is in her 20s (The Sun Daily), while others claim she is more than 30 years old (The Star). The wedding was held at Cap Estel, a luxury hotel in Cote d’Azur (The French Riviera), in the presence of family and close friends. With the attendance of 150 people, the wedding is considered an exclusive and intimate one. The wedding also included AirAsia chairman and Tune Group chief executive Datuk Kamarudin Meranun, CIMB Group chairman Datuk Seri Nazir Razak and former international trade and industry minister Tan Sri Rafizah Aziz, according to The New Straits Times. Following the very day of Mr Fernandes’ wedding, a flight on Sunday (Oct 15) experienced technical problems that forced the aircraft to return to Perth after just 25 minutes in the air. Several US media had reported that the AirAsia QZ535 flight crew had allegedly “panicked” and were “hysterical” as the plane made a rapid plunge, from 32,000ft to 10,000ft without warning.